Due to the ongoing Weinbach Avenue water main upgrade project, there will be two upcoming water outages significantly affecting campus. The second water outage will be May 30 and will last 4-8 hours. It will affect the main campus water supply, disrupting distribution of hot and cold domestic water and preventing us from delivering chill water and steam to most of the campus buildings. Because this outage affects the water supply and air-conditioning to such a large portion of campus, the University will be closed May 30. The facilities department will restore steam, chill water, and domestic cold and hot water once the water main work is complete and all services should be back online the evening of May 30. For approximately 48 hours after both of these outages, there will be a precautionary boil advisory. The City of Evansville’s position on this states, “While the potential for contamination of the drinking water is unlikely, the Evansville Water Utility is advising customers in the affected area to bring all cooking and drinking water to a complete boil for five (5) minutes before using”. During this advisory, showering, clothes washing and handwashing will be allowed, however all affected campus water fountains will be tagged as a precaution." The University will be announcing details of a global recognition as well as the launch of a new Center for Innovation and Change at a news conference TODAY - Tuesday, May 22. The event starts at 2:00 p.m. in the Bernhardt Atrium in the Schroeder School of Business Building. Everyone is invited to attend! Recently it was announced that UE has been designated by Ashoka U as the first Changemaker Campus in Indiana for its role as a leader in social innovation and changemaking in higher education. UE President Tom Kazee, Evansville Mayor Lloyd Winnecke, UE President-elect Christopher Pietruszkiewicz, and Executive Director of UE’s new Center for Innovation and Change Jill Griffin will share details about what this means for the University, its students, and the City of Evansville at the press conference. This summer the Office of Diversity Initiatives will offer one-hour sessions that will provide interactive dialogue to allow campus participants to think and discuss about how to re-think everything you ever knew about race. The sessions will provide solution-oriented steps and strategies as well as resources for participants. Participants must RSVP to lw161@evansville.edu by 5:00 p.m. on the Monday of the week of the session. Upcoming sessions are planned for July 18, August 1 and August 8. Sessions are intended for any campus members and friends (i.e., faculty, staff, students, alumni or administrators). Anyone attending all of the sessions will be given a certificate of completion of Diversity and Inclusion at UE at the end of the summer sessions. Neu Chapel begins Summer Services: Wednesdays at 5:30 p.m. The Neu Chapel community is excited to announce it will begin holding weekly worship services on Wednesday evenings during the summer at 5:30 p.m. These simple, 30-minute services will include hymns featuring the beautiful Bösendorfer piano, a brief sermon, and Holy Communion. The campus community is welcome and invited to attend! Register your child for the 2018 Wesley Shepard Music Camp, June 10-16 at UE! For more information on the camp and registration, please visit: www.evansville.edu/majors/music/outreachSummerCamp.cfm. Walter McCarty Basketball Camp for grades 2-8 is planned for June 11-14. The cost is $250. There is a UE staff discount of 10 percent with the promo code uembbemp. Register online at WalterMcCartyBasketballCamps.com. Aces Place open this summer! *All Ace Bucks purchased through WebAdvisor as part of a meal plan will not be available to use until August 21. If you would like to purchase Ace Bucks to use this summer at Ace’s Place, please visit the Chartwells office. Ace Bucks purchased this summer carry over to the fall semester. The 2018 summer Pcard cardholder training session calendar is now available on the AceLink Pcard website under Training Materials/Dates to Remember. For questions or to reserve a training spot, contact the Office of Administrative Services at ext. 2941. UE Orchestra Calling for Musicians! University Symphony Orchestra/String Chamber Ensemble Calling for musicians. Students, staff, faculty, and administrators are invited to play in the University Symphony Orchestra and String Chamber Ensemble. The University Symphony Orchestra meets on Monday at 5:30 p.m. and Wednesday at 4 p.m. The String Chamber Ensemble meets on Thursday at 4 p.m. in the Krannert Hall of Fine Arts. Come join us! E-mail Chun-Ming Chen, director of orchestral activities at cc319@evansville.edu for more information. Traveling this summer on UE business with a return date after May 31? Paying membership dues for next fiscal year prior to May 31? If you pay for any of these expenses before May 31, you will need to contact Lori Harriss (lh177@evansville.edu) in Fiscal Affairs. If you use WebAdvisor to create a web voucher, you will need to ask for the prepaid account number to be added to your choices. These expenses will be charged to your 2018-19 budget funds. As the end of the University’s fiscal year approaches on May 31, administrative services and accounting and audit announce the following procedures related to purchases of goods and services during May. Pcard purchases posting on the May statement (cycle end date is May 21) will be paid from FY 2017-18 funds. Most shipments post on your Pcard within three to four business days. However, vendors have up to nine business days to post transactions. Pcard purchases posting from May 22 through May 31 will be paid from FY 2018-19 (new year) funds, unless the item purchased exceeds $500. Purchases exceeding $500 will be paid from FY 2017-18 funds. Normally, Office Depot orders placed online by 3:00 p.m. for items in stock are delivered the next business day. Upon delivery, the transaction should post on your Pcard within three to four business days. Office Depot orders received by May 15 will likely post on the May 21 Pcard Cycle and be paid from FY 2017-18 funds. Office Depot orders placed and received but posting to the Pcard between May 22 and May 31 will be paid from FY 2018-19 funds, unless the items purchased exceed $500. Purchases exceeding $500 will be paid from FY 2017-18 funds. Approved requisitions converted into purchase orders and delivered by May 31 will be paid from FY 2017-18 funds. Approved requisitions indicating FY 2018-19 written on them in red ink will be processed with a delivery date of June 1 or later. Backordered purchase orders not delivered by May 31 will be paid from FY 2018-19 funds. All FY 2017-18 blanket orders expire on May 31. Approved requisitions for FY 2018-19 (new year) blanket orders may now be submitted with June 1, 2018 through May 31, 2019 effective dates. Backordered blanket purchase order items not delivered by May 31 will be paid from FY 2018-19 funds. All services completed and items purchased (and on campus) by May 31 must be submitted on a WebAdvisor voucher to accounting and audit by Monday, June 18 to be paid from FY 2017-18 funds. Any pre-May 31st purchases submitted for payment after this date will be charged to FY 2018-19. 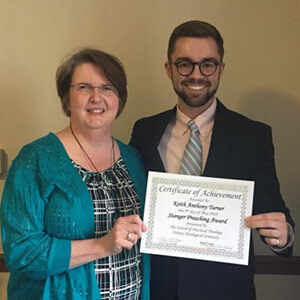 Keith Turner, John Wesley Minister and assistant chaplain, received the Frank Bateman Stanger Senior Preaching Award from Asbury Theological Seminary in Wilmore, Kentucky on May 9. This prestigious award is given to a member of each graduating class who has demonstrated excellence in preaching, both in the crafting and delivery of sermons. Congratulations, Keith! Pictured: Keith Turner with Dr. Stacy Minger, Associate Professor of Preaching, Asbury Theological Seminary. An article by University of Evansville physician assistant department chair Michael Roscoe and faculty members Andy Lampkins, Sean Harper, and Gina Niemeier will be featured in the May/June publication of Clinician Reviews. The article is titled "Heart Failure: A Dynamic Approach to Classification and Management." The Outstanding Senior Service Awards are named for two of the University’s most respected alumni, Mabel Dillingham Nenneker and Guthrie May. This year, Cesar H. Guitunga, Jr. was given the Guthrie May Award for outstanding senior man. Guitunga came to UE from Maputo, Mozambique, and graduated with a Bachelor and Master of Science in Health Services Administration degree. He was a member of UE’s soccer team and a volunteer soccer coach at Caze Elementary School. 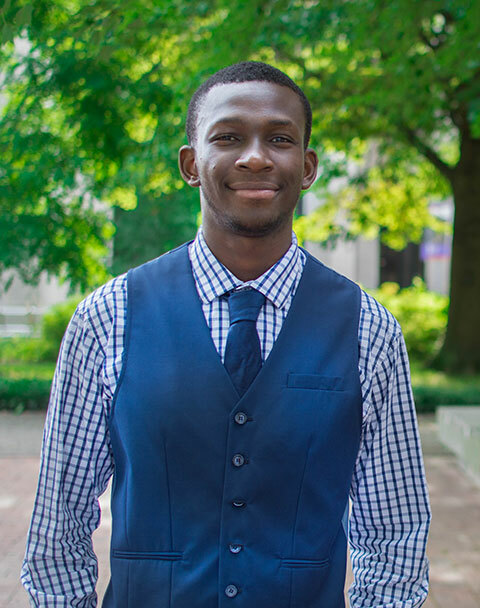 Guitunga was a resident assistant and head resident, an international orientation leader, a member of the International Student Club, and co-host of the International Bazaar. He was appointed student representative on the University Academic Honor Council, and was president/co-chair of recruitment for UNICEF Campus Initiatives. Guitunga also was a human resource intern for Deaconess Health System. He plans to be an elementary educator, and will attend graduate school at Loyola University Maryland. The Outstanding Senior Service Awards are named for two of the University’s most respected alumni, Mabel Dillingham Nenneker and Guthrie May. This year, Kristen M. Fowler received the Mabel Dillingham Nenneker Award for outstanding senior woman. Fowler graduated with a Bachelor of Science in psychology with minors in neuroscience and ethics. She has a passion to serve others, and credits her UE professors for pushing her to be interdisciplinary in the classroom and in extracurricular activities. 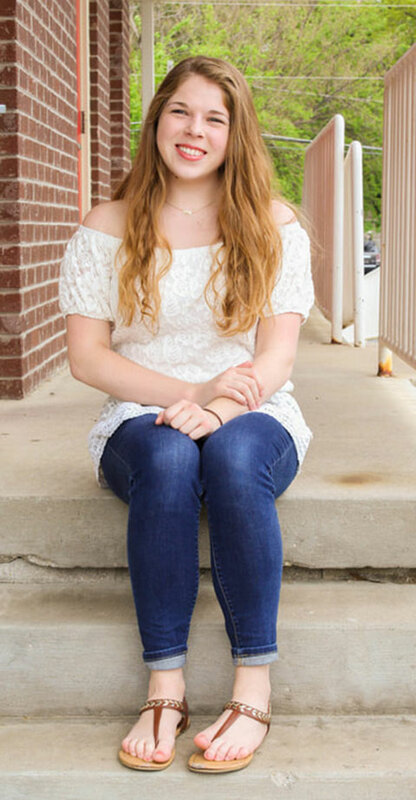 In the fall, she will begin working toward her PhD at the University of Tennessee. Through the generosity the Eykamp Family, an award for members of UE faculty was created to recognize those who have displayed extraordinary service to the University. This year, the Eykamp Prize was awarded to David Dwyer, mathematics professor and chair of the math department. During his tenure at UE, Dwyer has received the Dean’s Teaching Award, the Alumni Association’s Outstanding Teacher Award, and the Berger Award for Scholarship. He secured two NSF grants totaling over $700,000, which funded the development of a textbook that is currently used in the University’s calculus sequence. He was instrumental in the decision to create a statistics and data science program, and sought grants to fund its development. Dwyer has been a member, chair, and co-chair of numerous campus committees. Recently he was a faculty representative on the Presidential Search Committee. 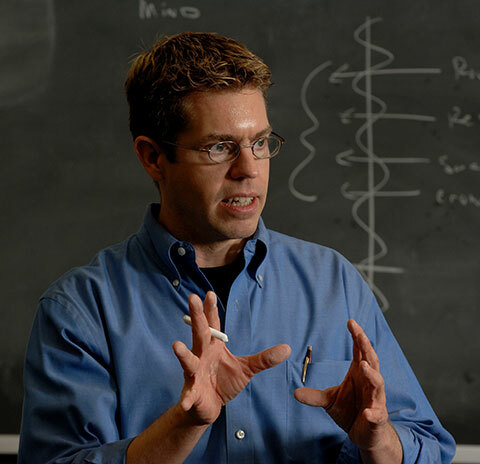 Most notably, Dwyer spearheaded the Moonshot group of arts and sciences faculty who have put additional effort into assisting the Office of Admission. The Outstanding Teacher of the Year award honors distinguished service in teaching. Professor of philosophy Anthony Beavers has been named the Alumni Association’s Outstanding Teacher of the Year for 2018. Beavers received a new record number of nominations for this award, not only from students but also from alumni and faculty members. Those nominating him praised his innovative teaching style and his dedication to mentoring students. Beavers came to UE in 1991 and has served the University not only as a professor but also as a department chair and director of cognitive science. 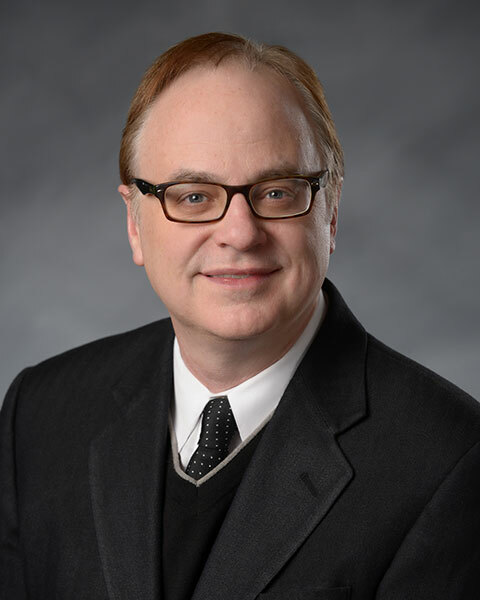 He earned his Bachelor of Arts and Master of Arts degrees in philosophy from Trinity College and his PhD in philosophy from Marquette University. Beavers has been published over 30 times and has been an invited speaker over 40 times. He has been a campus advisor to three out of six fraternities since beginning his career at UE. UEVETS student veterans organization and the Office of Veterans Affairs would like to thank the campus community for supporting the UEVETS' third annual Spare Change for Warriors charity bowling tournament. The health services administration team comprised of Cesar Guitunga, Dana Owens, Emily Baggett, Nehchal Bedi, Savannah Kern, and Sarah Harness won. Proceeds amounting to $1,670 were donated to Soldier Dogs for Independence, an Evansville organization that trains and places service dogs with veterans in need. With the help of Indianapolis Colts Quarterback Andrew Luck, Riley Children’s Health is hosting several camps throughout Indiana this summer, including one at the University of Evansville on June 26! Not only will kids be active, but they’ll also have fun and learn to make good choices when it comes to food, exercise and their wellbeing. All camps are free of charge, but are limited to 250 children per session. Register at rileychildrens.org/evansvillecamp. Camp times are 10:30 a.m. and 12:30 p.m. Openings are still available for the Purple Aces Club Golf Classic, which will be held on Monday, May 21 at Oak Meadow Country Club in Evansville. Foursomes are available for $600 while individuals can register for $150. Your entry fee includes a boxed lunch, drinks, a polo shirt and post-golf hors d’oeuvres. Several sponsorship options are also available and include hole sponsor, longest drive sponsor, closes to the pin sponsor, cart sponsor, reception sponsor and event title sponsor. Registration begins on Monday at 11 a.m. with lunch being served in your cart at that time. A shotgun start commences the golf tournament, which will go until approximately 5 p.m. The post-golf reception goes from 5-6 p.m. with the awards ceremony taking place at 5:30 p.m.
To register, visit www.uealumnionline.com/PACGolf18. For more information or to become a sponsor, contact Jake Hill at jh690@evansville.edu or 812-488-2283.